Was the suit Robert Pattinson wore in the film custom designed or can mere civilians get their hands on it, too? The suit Eric wears in the film is by Gucci: the Signoria, two-button notch lapel, in black. It is definitely available to mere civilians. It’s a great suit. When you picked it, how did you know this was the suit? Clothes make the man. 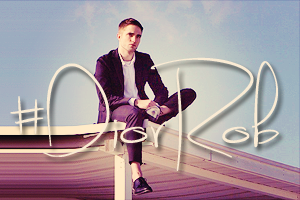 The suit, the white shirt and slim black tie, the shoes and belt (all by Gucci) helped Rob become Eric. Once Rob put the clothes on, I could feel the character, and looking at him completely dressed in the fitting, I knew I had made the right choice. And it doesn’t hurt that he wears suits beautifully. Twenty-five years of dressing actors also helped in the decision. I actually knew it was the right suit just looking at it even before the fitting with Rob. The cut and fabric were beautiful, which is why I chose it. Men’s style editors love to talk about wearing a suit three or four different ways; Rob’s teaching a master class on that in the film. How does each evolution (fully suited, sans tie, just the trousers and shirt) relate to Eric’s progression over the day? After reading the script and talking to the director, it was clear that Eric wore the suit well pressed and impeccably styled in the beginning. But as his life started to unravel, his clothes would too. I always leave room for the actor to decide just how far his shirt should be unbuttoned, or how he feels about a tie or no tie, a jacket or no jacket—whatever would help him play the scene. We (David, Rob, and I) decided Eric should never be too much of a mess. We would have tried to take the wardrobe home after shooting wrapped. Does that ever happen? Yes, people do take, or try to take, clothing home during and after a film. Rob did take one of his suits home (we had seven of them), but I asked him if he would like one. He has so many suits personally that he really doesn’t need any more. You did one hell of a job dressing Rob for the film. What advice would you give him, if any, for dressing for the red carpet? It’s not difficult to dress Rob and make him look terrific. He wears suits so well, and Gucci fits him so well. My advice to him is to keep doing exactly what he has been doing—wearing Gucci. You can’t go wrong. And how about for daily life? Rob's off-camera look is very relaxed, and it’s his personal taste. There’s also an element of trying to hide, with something like a baseball cap, but really, it’s comfortable. That’s who he is. 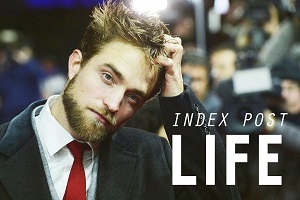 Read the full interview at Gilt.com | Robert Pattinson’s Style, on sale now on Gilt MAN. Mere civilians can purchase the suit but only few could pull it off like Rob does. I agree with with Denise completely Rob wears suits so well, he could be a poster child for how to wear a suit. I love the choices they make for him on color and cut. Rob you wear it so well.